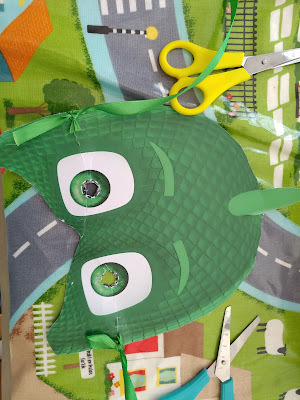 This week we were hosts to a PJ masks twitter party. The girls are huge PJ masks fans and spend most days either watching PJ masks or playing PJ masks. 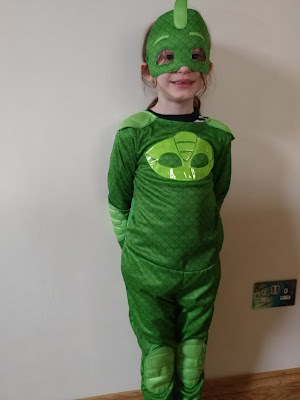 My youngest has even asked if she can go out at night so she can save the day. To take part in any PJ masks party you first need to look the part, so we began by making masks. 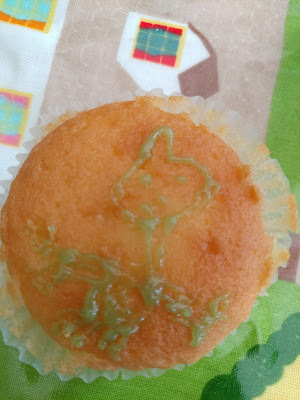 Gecko, Catboy and Owlette were soon ready for the party to start. Can you guess who they drew? There was a lot of discussion around the PJ masks guess who game. 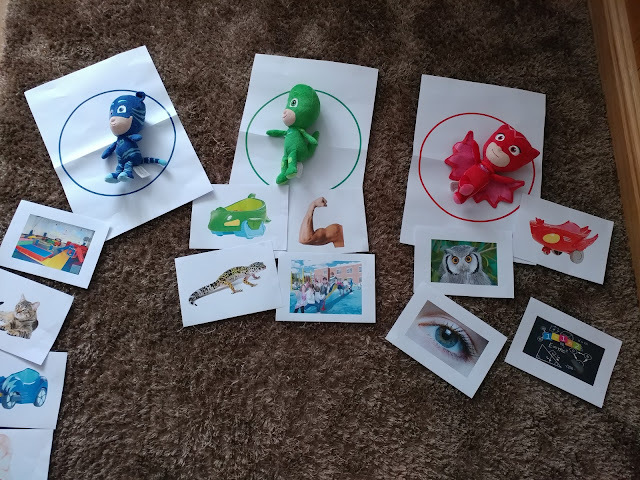 Some images proving more difficult than others, but after careful thought they all agreed on what should go where. 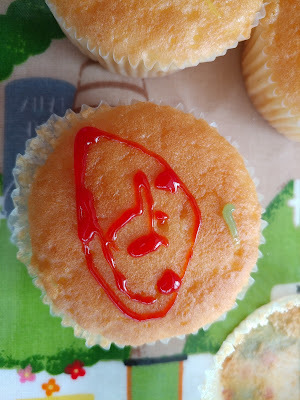 Every party needs time for colouring and releasing your artistic side, which is exactly what our guests decided to do. In addition to the games and competitions on twitter and the games we were playing, we also put some of the new PJ masks items to the test. My eldest who is obsessed with Gecko could not wait to try on her new Gecko costume. The gecko costume is one piece, and although a 5-6 fitted my 6 [almost 7] year old perfectly. 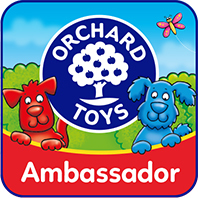 The back is Velcro so it is quick to get on and off. She had no problem with her Gecko strength or super gecko grip and ran around the house demonstrating as such. 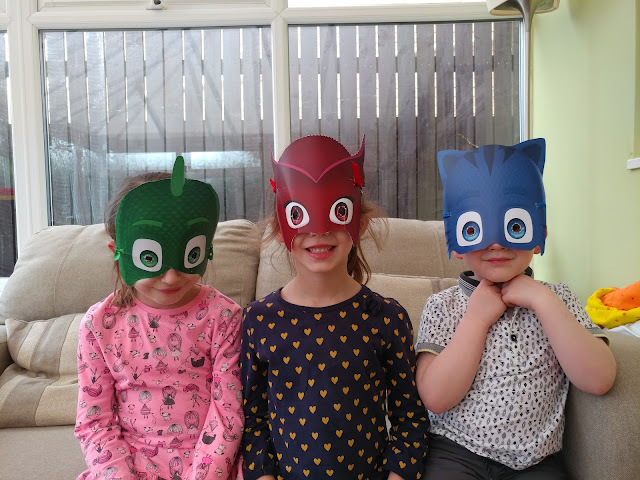 A PJ masks twitter party was also the perfect time to try out the new PJ masks vehicles and figures sets. 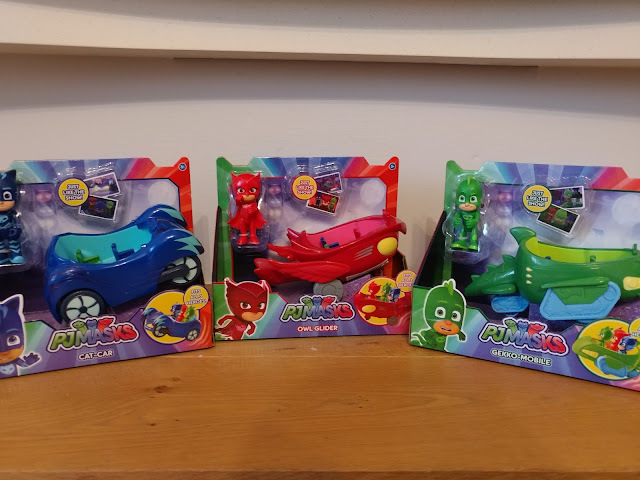 Each vehicle comes with a 3" articulated figure but you can fit all 3 PJ mask characters into one vehicle for them all to ride together. 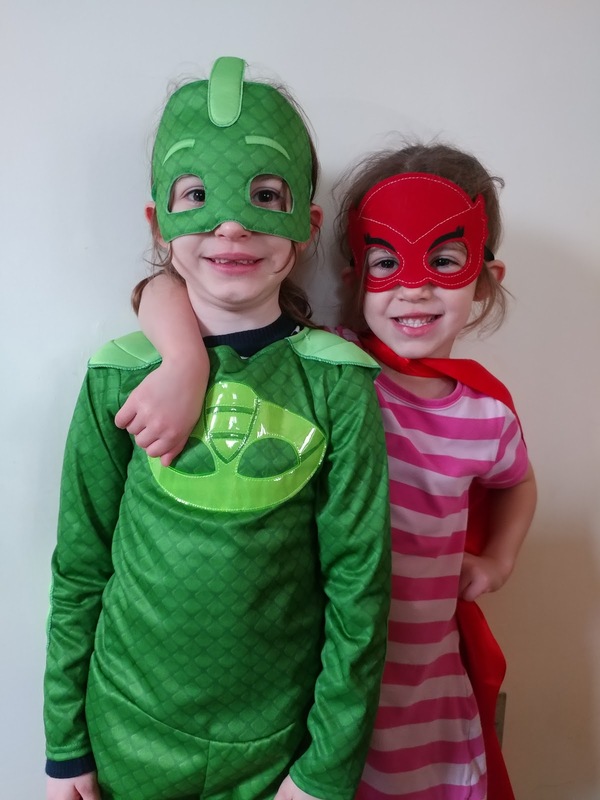 The vehicles are lots of fun and the girls love acting out different PJ masks scenarios as they drive into the night to save the day. Little Man just liked pushing the vehicles around and the fact they had wheels! 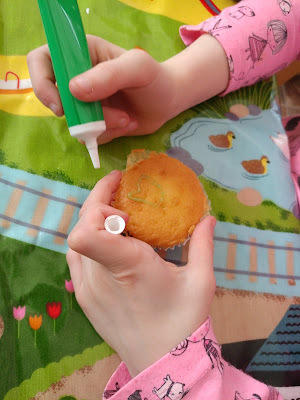 Blind bags are very popular with the girls. They have them as a treat and love opening to find out what is inside. 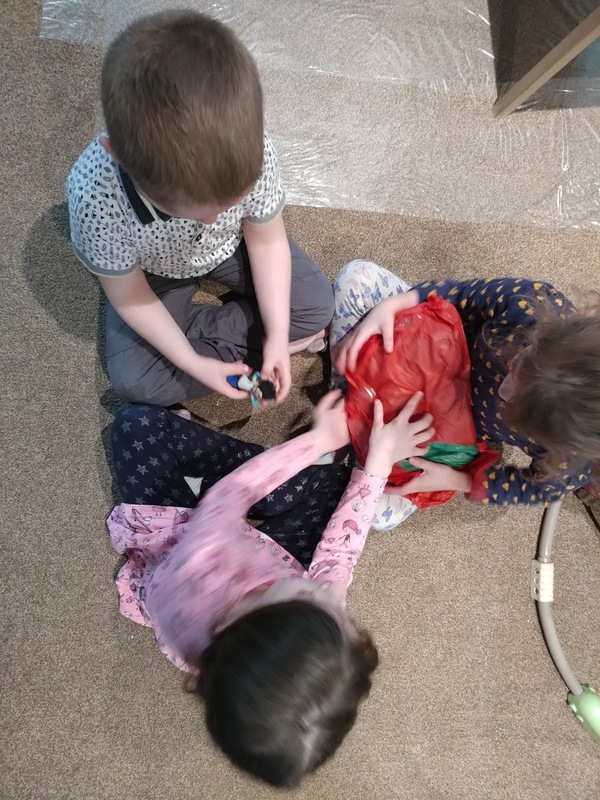 PJ masks blind bags features a rare Connor figure and the girls are desperate to find him. 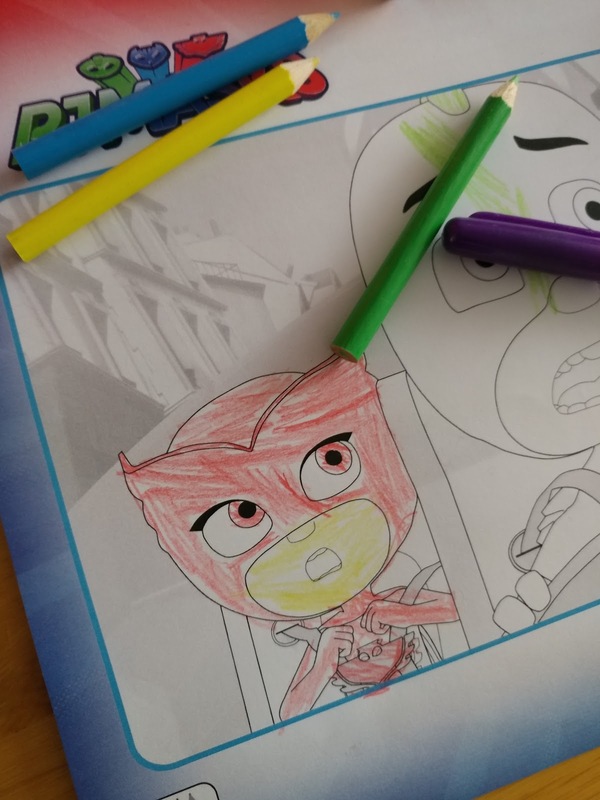 Each blind bag contains one highly detailed figure from PJ masks. The PJ masks are huge favourites with all three of my children, and each one has their own favourite character. 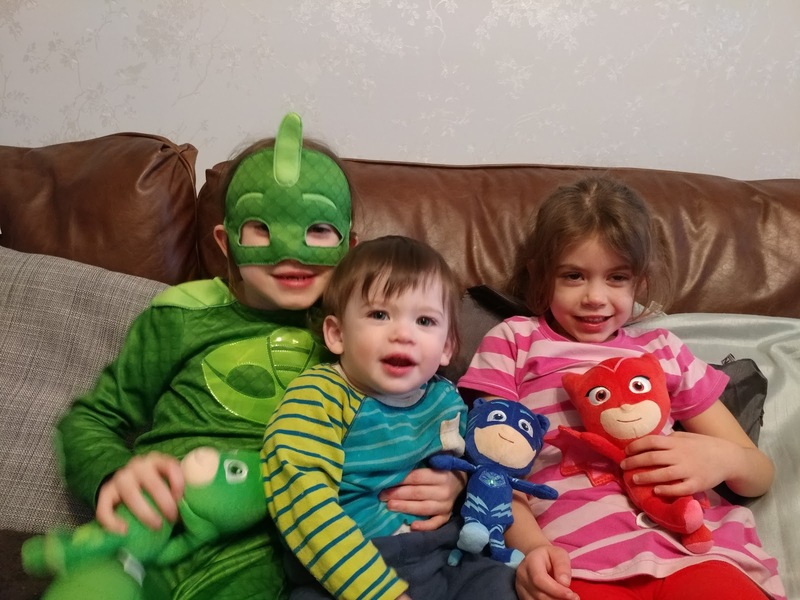 After the excitement of the twitter party it was time to cuddle up on the sofa and watch an episode of PJ masks with their soft toys. 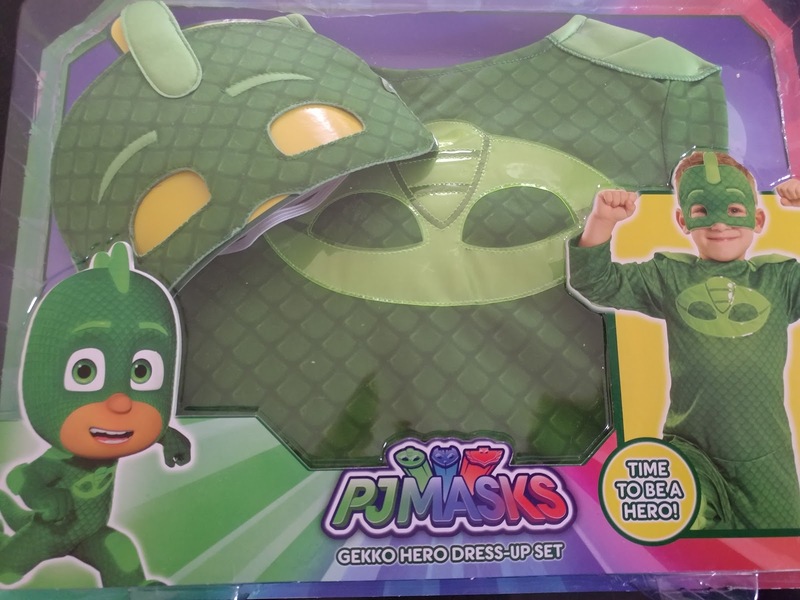 We were PJ masks twitter party hosts and have been sent the items featured.